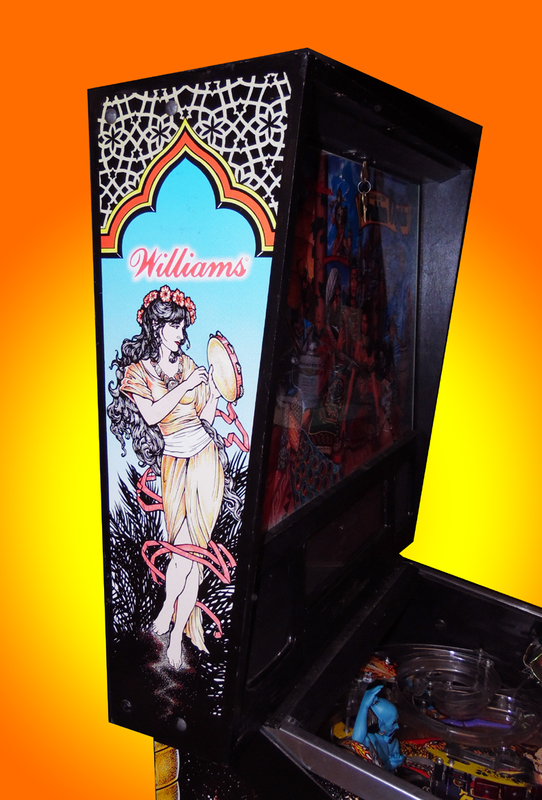 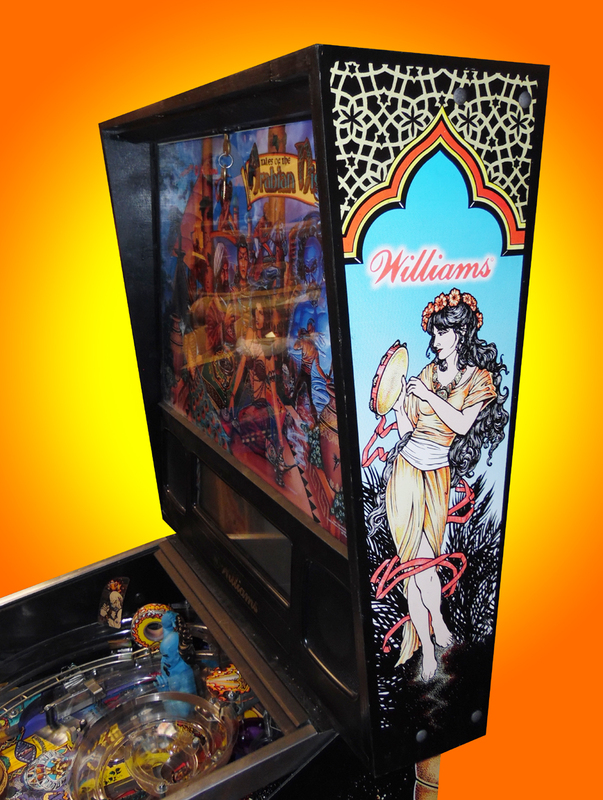 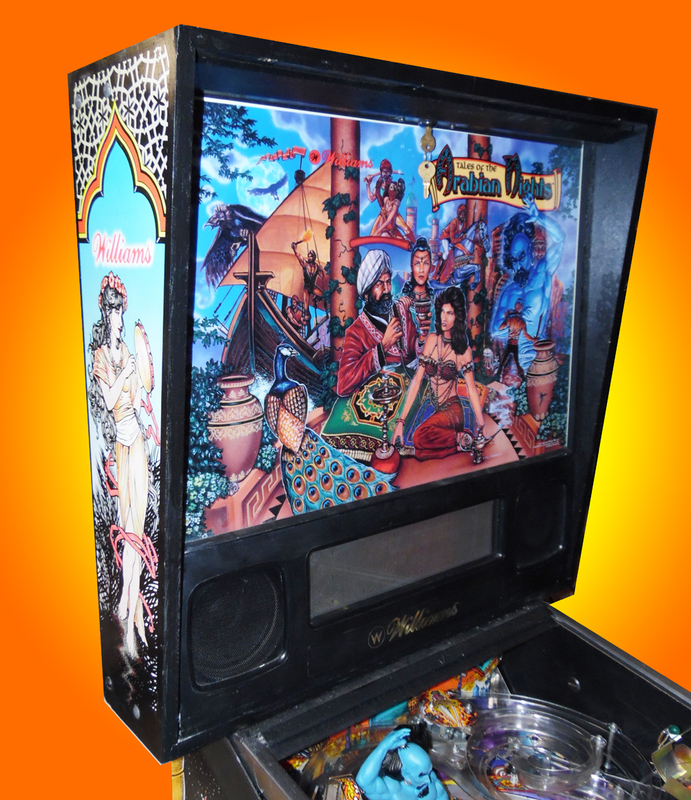 Williams This is a great playing, well defined pinball! 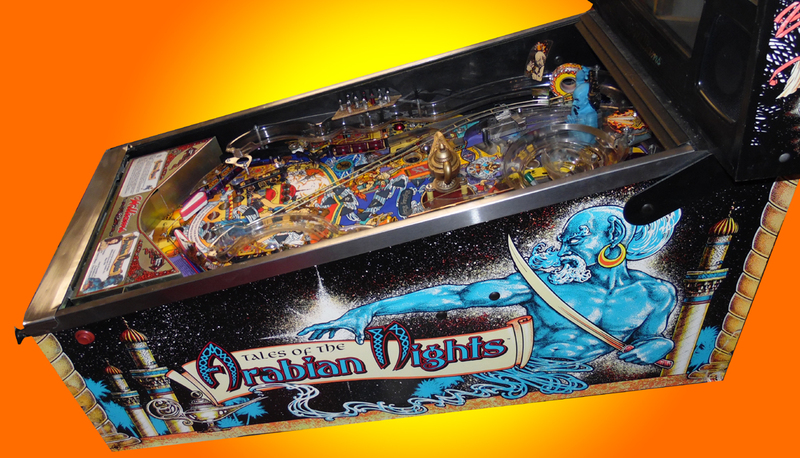 You get to battle the genie to rescue kidnapped princess. 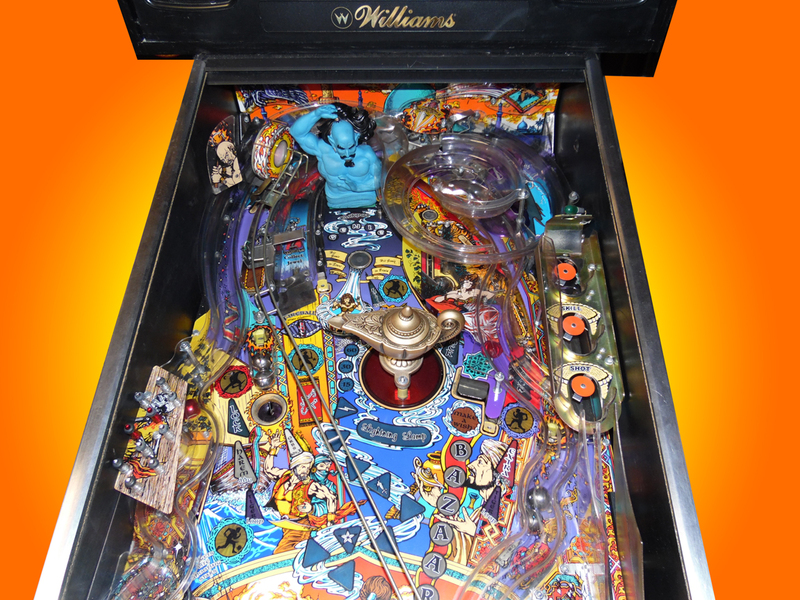 You must complete all of the tales in order to do battle with the genie. 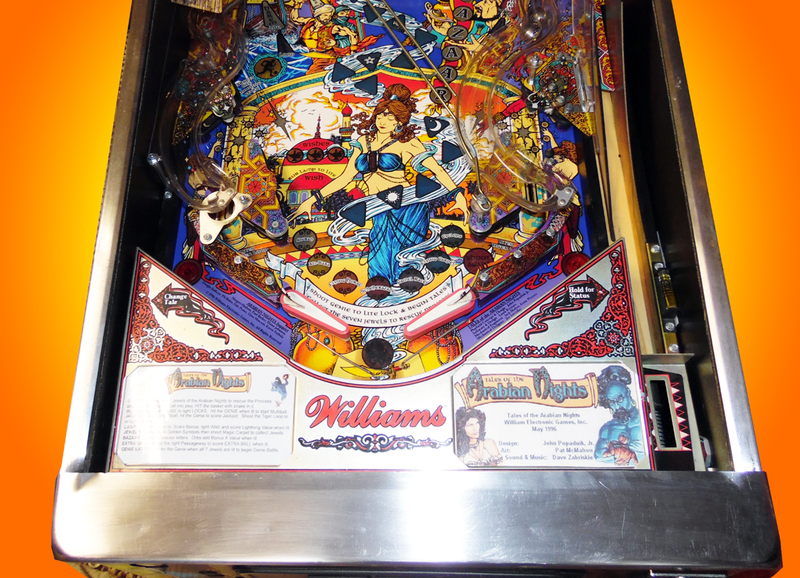 The final battle play is awesome! 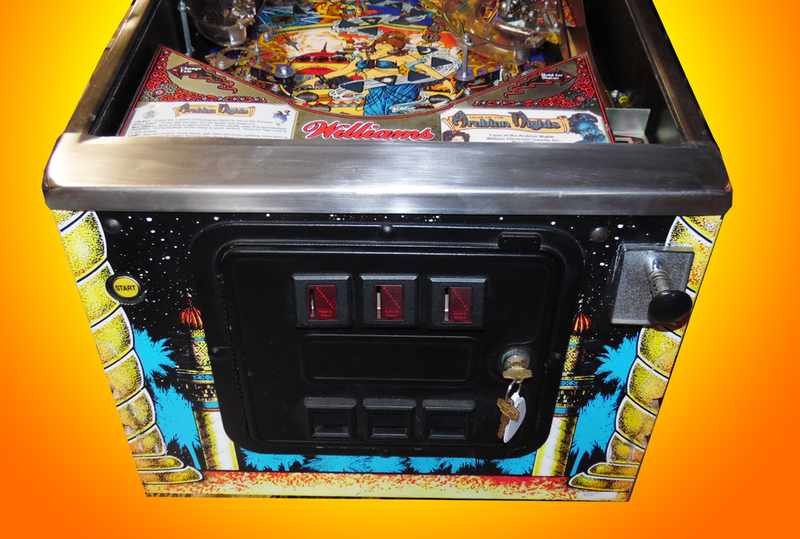 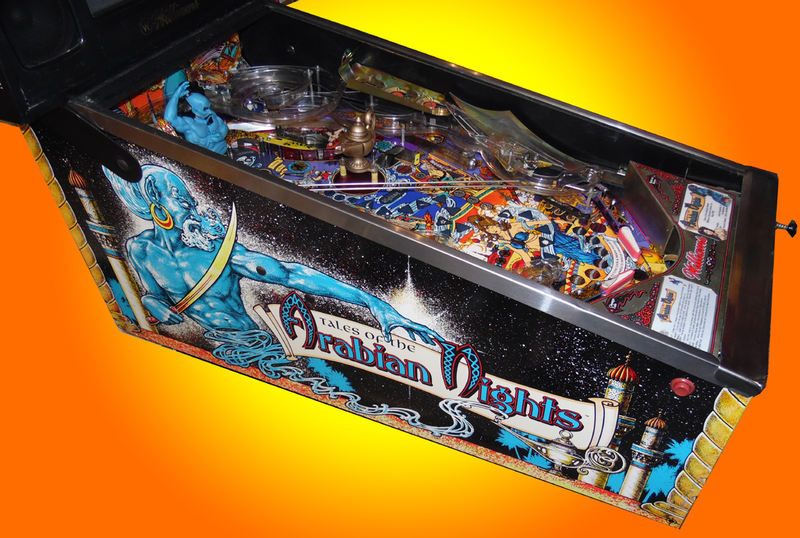 This pinball has lot of magnet action, and is becoming a difficult to find!